Locksmith Work Orders - Booked 248 At Print EZ. Locksmith Work Orders - Booked Item No. 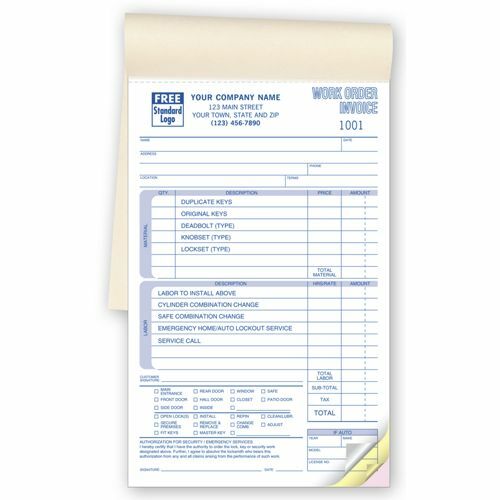 248 Size: 5 1/2" x 8 1/2"
Say goodbye to cumbersome carbon sheets and meticulous work order forms that complicate matters more. We bring to you work orders for locksmith booked forms, where you can list out the details of the job, get authorization from the client and also draw up a sales bill for the said task, all in one sheet. 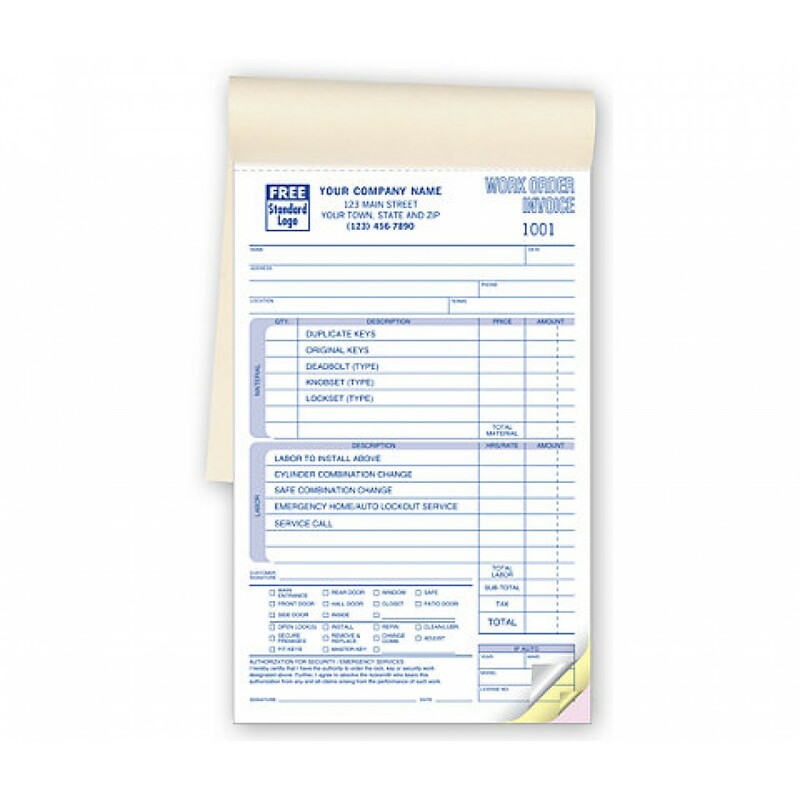 With these lined booked forms you will not need to worry about missing out even a single detail of the job, be it the material used, the labor specifications or even location and nature of the lock problem at hand. Be it an auto lock and key issue or a door related one, this is one form that will work for it all. The quality of the product is good, overall for the price it was good and the order forms are usable.